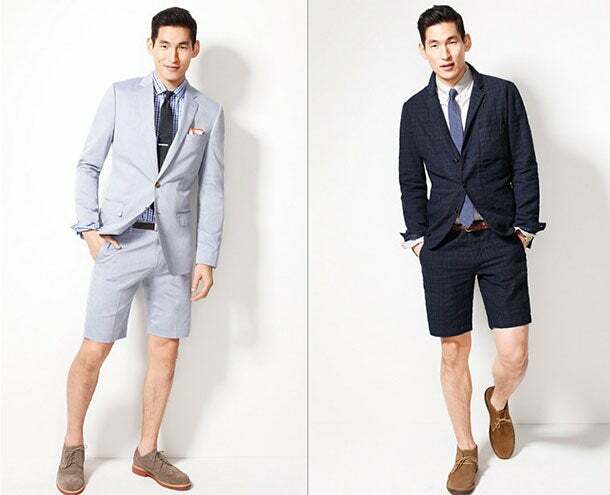 Is This the Summer of the Short Suit? Thankfully, Probably Not. Summer can be tough if you're a dude, I've been told. It's hot, it's muggy and yet you're still expected to show up at work in a suit, which makes for a sticky daily commute. 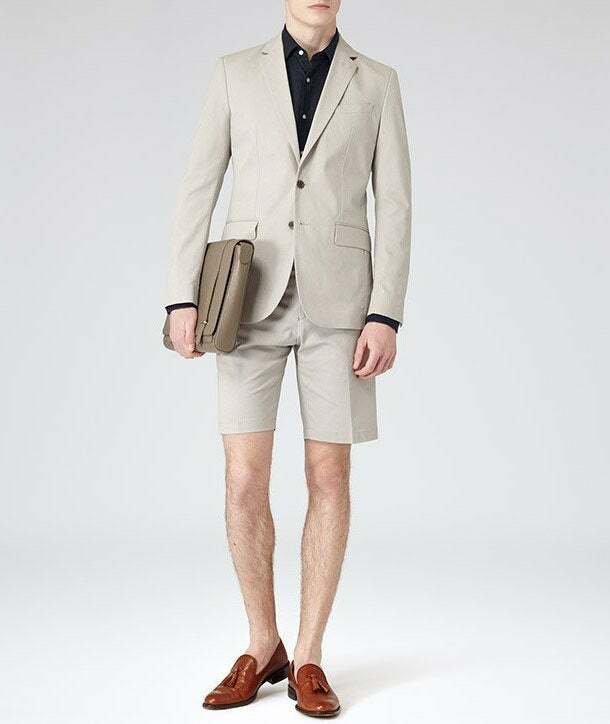 Retailers appear to think they've designed a solution: Behold, the short suit. As you can see, the short suit is just as awkward as you'd expect: Traditional suit on top -- complete with a button down shirt, sports coat and in some outfits, a tie -- and shorts on the bottom. To be fair, it's not an entirely unprecedented look – back in the mid-2000s, Tom Brown (in)famously made a splash with his "shrunken suit," although in that case, the pants were more capris, less true shorts. Circa now, we can most likely thank Pharrell Williams for the sudden explosion of short suit offerings. At this year's Academy Awards he rocked a tuxedo version, and now short suits can be purchased at major retailers including J.Crew (for a cool $400), Topman ($390), Asos ($286), Reiss ($500), and Comme des Garcons ($895), although, as Businessweek notes, the last option is really more of a skirt-suit. Related: Goodbye, Suits. Sport These Smart Looks but Shun Interview No-nos. Unfortunately, most men don't possess a fraction of Pharrell's ability to make the ridiculous work (regardless of your thoughts on the enormous brown hat he wore to the Grammys, it ended the night with its own Twitter account, which makes it a default success), and despite J.Crew's assurance that its short suit has "an old-school country club vibe (more Gatsby, less Caddyshack) and is almost guaranteed to win the battle for best-dressed at nearly every summer occasion" I can't see this trend catching on. Exposed calves + the inability to wear socks = not going to happen in the workplace. In other words, the short suit is pretty much a marketing stunt, which means everyone needs to calm down about the short suit. Unless you work in certain enclaves of Brooklyn, you should be safe.